Off to See the Dark Knight! 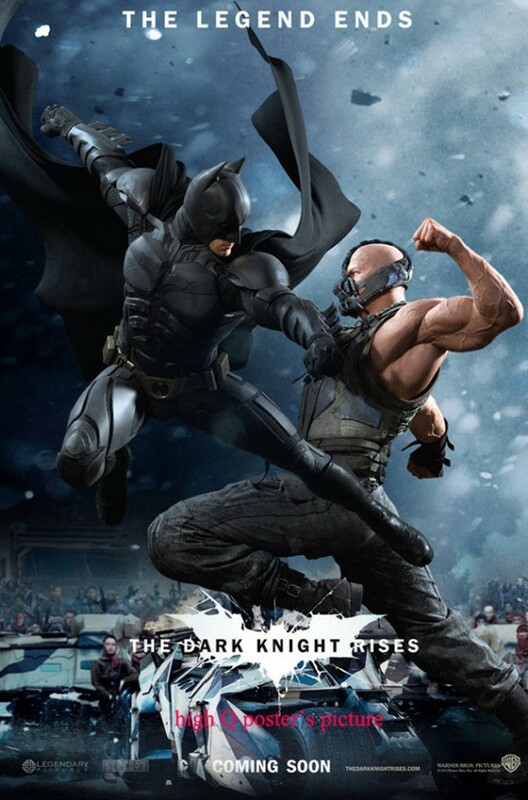 This weekend, after a painstaking week of waiting, I will finally be going to see The Dark Knight Rises! Oh, the anticipation! It’s like Christmas Eve, when all you can do is await the passage of time and pray morning comes, at which point you’ll tear into those presents hoping to find what you’ve been asking for! In case you can’t tell, I’m looking forward to this. Maybe not as much as a kid does to Christmas Morning, but you get the idea. For Batman fans and total geeks, of which I am both, this is an occasion that has been many years in the making. Ever since the Dark Knight and the death of Heath Ledger, we’ve all been taking to the internet to dig up whatever news we can about what the next movie would be about, who would star in it, and whether or not it could possibly rival the second. So far, the buzz is that this movie actually does live up to the Dark Knight, and some I’ve even heard whisper that it’s better. Now this is not a totally sacrilegious claim to make. Granted, no one wants to think they are spitting on Heath Ledger’s grave by implying that his performance could ever be topped. But it’s not so farfetched to think that the various elements of this movie might have actually come together better than the last one is it? Well, that’s something I intend to find out. But first, let me tell what I was expecting long before the teaser trailers started coming out and they made it clear who the new villain was and what the bare bones of the story would be. 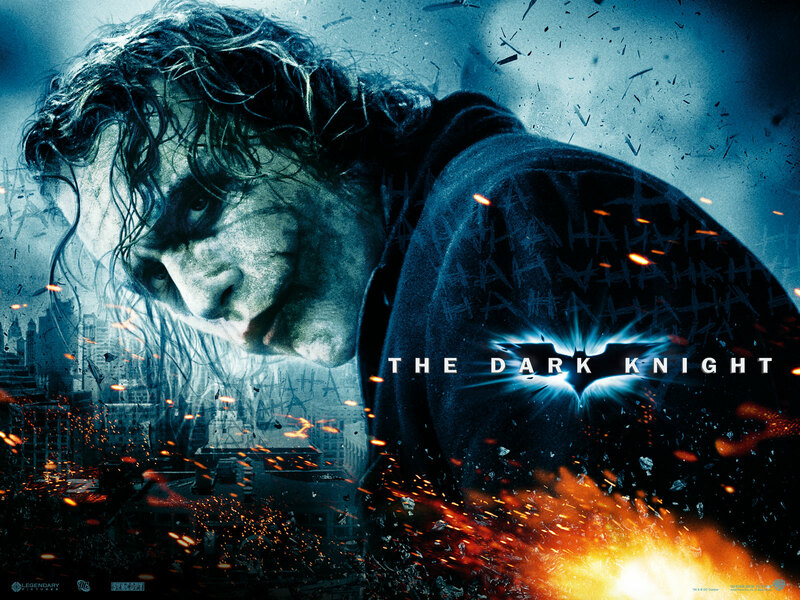 Months after The Dark Knight debuted and Ledger’s death was announced, every geek and armchair critic took to the forums to speculate about what Nolan and his crew would be doing with the third installment in the franchise. Rumors began to abound that The Riddler would be the next villain, and some even claimed that Johny Depp would be playing him. 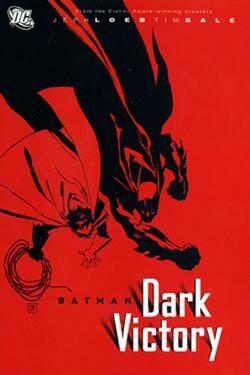 Others I spoke to looked to the original graphic novels and believed that the comic series Dark Victory would be a significant source of the next movie’s material. Having recently read that collection, I became convinced of this as well. Events occurring in this volume took place after the transformation of Harvey Dent into Two-Face and cataloged his descent into madness and his war with the mob. Granted, they did kill Harvey Dent off in the movie, myself and other fans of the comic felt that with Ledger’s death and the fact that Dent’s death got such a quick treatment, that they could bring Dent back and pair him with another villain. Alas, Nolan put all these rumors to rest when he announced that the Riddler would NOT be the villain in the new movie. Bane, a somewhat obscure character from the animated series, would be filling that role. Catwoman would also be on scene as a sort of lesser villain turned ally, and the plot would harken back to the first movie with Batman’s involvement with Ra’s al Ghul and the League of Shadows. And that’s when new rumors began, with fans of The Dark Returns coming out of the woodwork to announce that this movie was using that comic series as source material. Again, this includes me, and I can honestly say from all that I’ve heard about the plot that it mirrors Frank Miller’s conclusion to the Batman franchise quite well. You have Batman returning after a long hiatus to save Gotham from a new evil which threatens to consume it, Batman being branded a villain by the authorities and Gothamites alike, and a showdown where the Dark Knight fights it out with his rival in the streets in a big, climactic showdown! And I for one wouldn’t be too surprised if this movie is better than the last. Like it or not, that movie did have undeniable weaknesses that aren’t talked about too much. In the wake of Ledger’s tragic death, it seemed that most people were willing to overlook these and focus instead on all that was right about the movie, namely Heath’s portrayal of the Joker! But even that couldn’t mask some of the flaws which hinted at rushed production or cut corners. These were mentioned, but didn’t seem to taint the overall legacy of the movie. Which is good, but I feel like mentioning them now before I see the next one. Remember that funny video by “The Key of Awesome”? If not, look it up, I’ll wait. It made some very valid points about the movie and what didn’t quite make sense about it. And there were a few others which I feel like adding now. For starters, the entire third act of the movie, everything which happened after Rachel was killed and Harvey Dent mutilated, was rushed. There wasn’t a single break int he action sequences to let the audience catch their breath and this opened a lot of holes. For example, how did The Joker know that Harvey Dent wouldn’t splatter his brains all over the hospital room wall? Did he really trust in his own abilities of persuasion that much? Can’t be, since he handed him a loaded gun and told him to “embrace a little anarchy”. 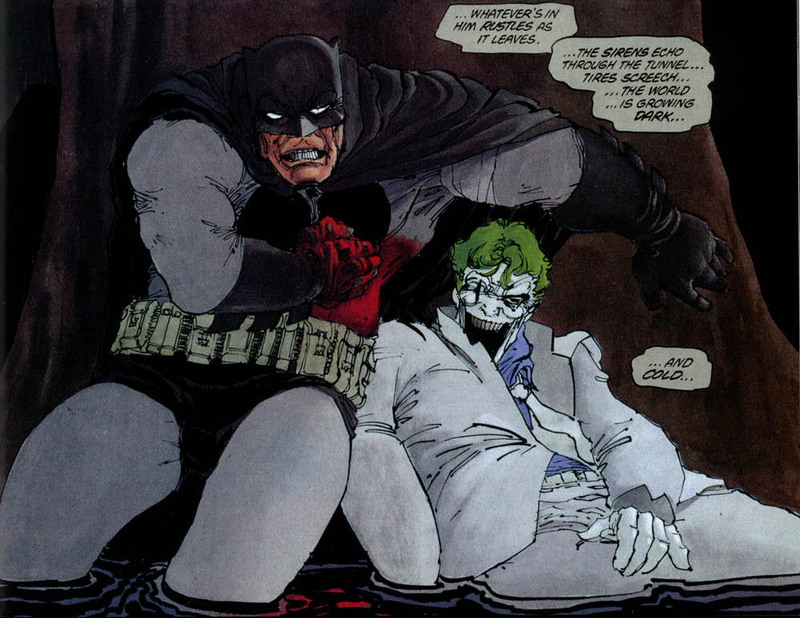 And he later said that this was all part of his plan, that unleashing a scarred Dent was his “ace up his sleeve” to ensure that Gothamites lost hope. But didn’t he say he didn’t do planning? And when you consider that it all came down to a coin toss, it kind of seems random and unplanned. Second, when did he have time to rig up those boats AND conduct that big hospital kidnapping operation? I could see him pulling off one of these, the kidnapping while simultaneously releasing Harvey Dent and telling him to go create some chaos, but not both! And while we’re on the topic of the boats, why was the commissioner trucking all those convicts from Arkham back into the city? He said that since a lot of the Joker’s men came from Arkham, that it was likely some of them were involved in his plot… Okay, so why not just put some extra guards on the island to watch the inmates then? Removing ALL OF THEM and putting them on a boat that would be passing through a city in the grips of chaos seems really stupid. Talk about a prime opportunity to escape! And how did Batman know that the people on these boats wouldn’t betray each other and blow one another up? In fact, it seemed like the self-righteous citizen was all set to do it. I liked the fact that the criminal didn’t, that made a good point about how the condemned of society really can be more noble and brave than the so-called law abiding. But in the case of the civilized man, the only reason he didn’t push the button was because he suffered a spontaneous attack of conscience. Oh, and having this happen at the same time as the hostage taking, where the Joker was using patients as human shields and had them dressed as his men to confuse the police, really took away from the latter. That whole sequence was terribly rushed, like the boat scene, and the audience was left just struggling to keep up and waiting on the final fight between the Joker and Batman. And let’s not forget, we got Dent’s quest for revenge happening at the same time, which meant three things were going on at the same time. As a result, I think audiences were all just waiting for things to end so they could catch their breaths and take stock of what they saw. When it comes right down to it, it felt like they were trying to end the movie on a victorious note, where the Joker went down for his crimes and some kind of resolution was given regarding the whole heroes taking responsibility and making the kinds of sacrifices that had to be made. I remember some people saying the movie felt like it ended naturally with the Joker escaping amidst the bombs. But I’m guessing Nolan and crew figured the story needed a happier ending. But then it also felt like they were trying to cram in every idea they had. Really, this whole problem could have been solved with a few scripting changes. One, have the Joker hand Harvey an unloaded gun. That would have removed the whole chaos element from that scene and show that the Joker, despite his love of anarchy, really is capable of seeing the bigger picture and planning things out. He doesn’t let Harvey kill him, but does let him go in the hopes that his chaos will prove a distraction from all his hostage taking. That way, when he’s captured, he can say “Harvey’s out there and looking for payback! You may have caught me, but I still get the last laugh. HAHAHAHA!” Ingenious! Second, nix the boat scene! What purpose did that really serve except as another good idea which they crammed in because they didn’t want to waste it? But they already had the hostage situation AND Harvey Dent looking for revenge against the people who betrayed him. Either go with the boats and Dent’s thread or the hostage taking and Dent’s thread. You can’t do all three and still expect audiences to follow! Still, at this point, audiences had already decided they loved the movie based on acts I and II alone, so the third act really didn’t matter that much. Well that’s it. Looking forward to tomorrow and hoping like hell this movie is just as awesome as the last, but doesn’t have the same third act problems as it did. Also hoping that it does contain all the aforementioned Dark Knight Returns influences that I and other geeks claim it shared. That comic was awesome, and seeing its better elements adapted to screen would seem like a real validation! Expect a review. A BIG ONE! Have fun, write a review for us. Oh yeah, me too! You gotta sit back and enjoy things for the time being. Plenty of time to let the downers settle in later.